Create clean and dramatic lighting effects with Odyssey’s Scrim Werks Light Columns. With 1ft-10ft. high available sizes, they’re perfect for enhancing event d?cor without using a heavy, bulky, and expensive square truss setup. 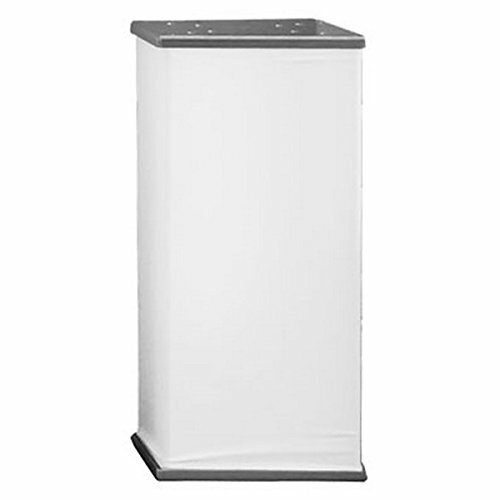 Extremely light weight and sturdy, with Scrim Werks Light Columns storage and transport space is not an issue. Each comes with 4 individual aluminum tubes that attach to a top and bottom aluminum plate with a scrim sleeve matching in length included. Easy to setup and tear down, each column stands strong and erect to impress and is secure to place a moving head light on top, yet conveniently compact when in storage.